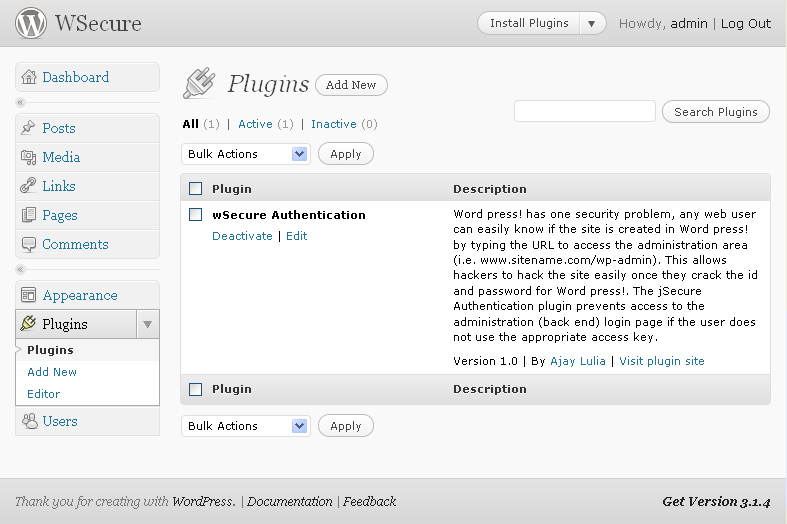 wSecure works by hiding the WordPress url for the administration page (/wp-admin) with a secret key that you set in the wsecure plugin parameters. 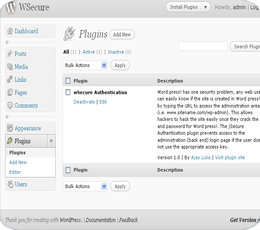 Once you have set the secret key and activated the plugin no one will be able to access your site from the admin URL (/wp-admin). 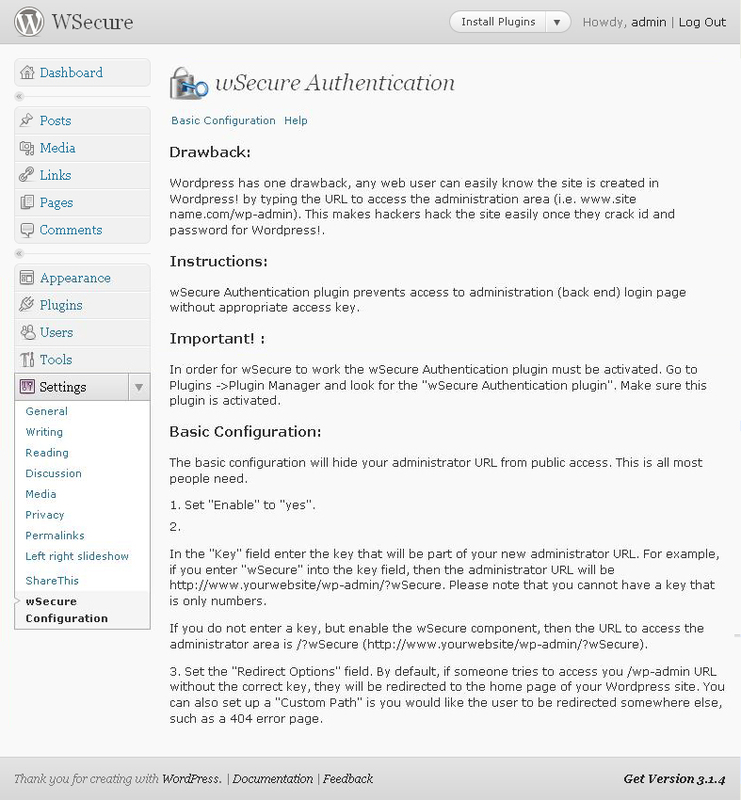 Instead, your admin page will only be accessible by putting your new secret key at the end of the URL. For example, if you secret key is “cats” then your new admin URL would be yoursite.com/wp-admin/?cats. 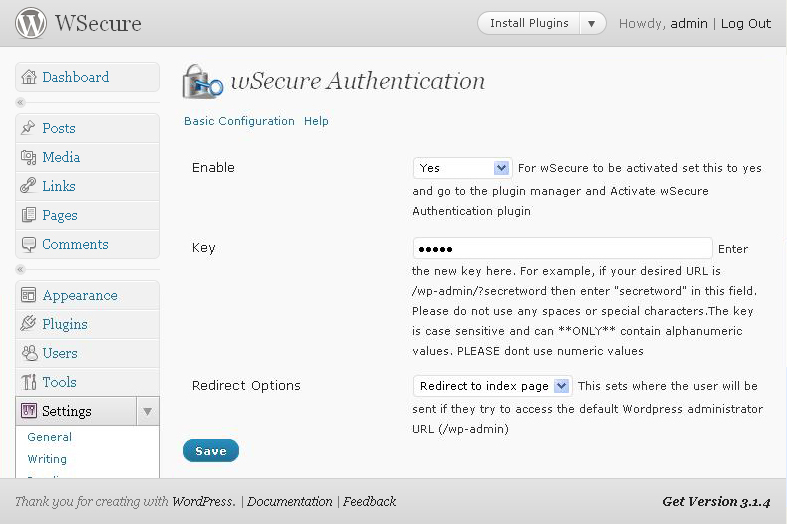 Click here to download wSecure. 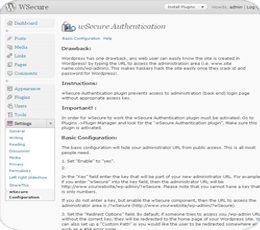 wSecure is easy to install and use.